The next generation standard that quickly transmits 8K high-resolution videos stored in smartphones or tablets to large screen TVs has come out. 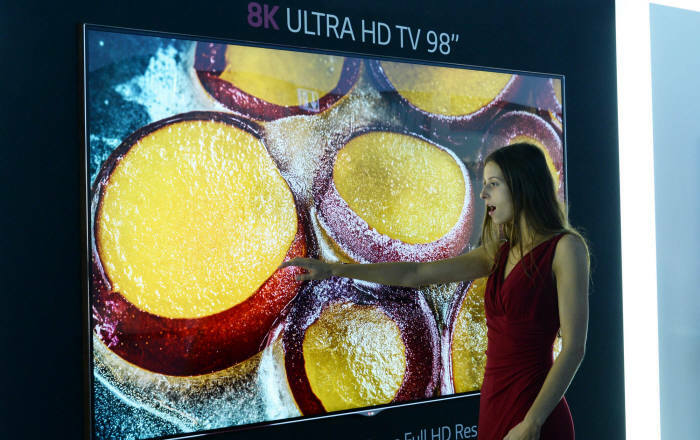 Preparing for a generation of not only 4K but also 8K class videos is the global trend, and thus, fierce competition over the preoccupancy of the connection standard is expected. The next generation MHL(Mobile High-Definition Link) technology, ‘Super MHL’ supports up to 8K. One can enjoy HD contents by connecting to a display device such as a smartphone, Blu-ray player, set-top box, etc. using a separate connector. It is also applicable to the automobile infortainment function. It also supports the new USB type C.
The market for 4K videos has just finished preparing its foundation. Sales for the UHD TV, which supports 4K videos, has quickened and flagship smartphones have also appeared. The 4K 60fps standard for Europe’s DVB and the Blu-ray disc are also under examination. Japan’s goal is to begin 8K trial broadcasting in 2016 and 8K national broadcasting starting from the 2020 Tokyo Olympics. TV manufacturers have also prepared a reaction base for the future market, demonstrating an 8K TV of a size over 100 inches, etc. Chairman Tobias predicted the next generation connection standard to coexist using its strength between cable and wireless. He also added, “The demand for cable connection is still large since Blu-ray, set-top box, etc. can be constantly used without change of settings once it is connected to the TV. Being able to charge batteries with the 40W charging function while enjoying contents is another strength. 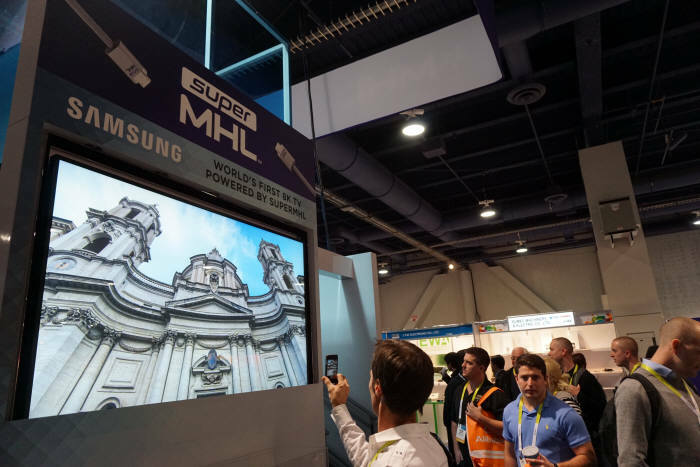 Super MHL technology has expanded its field over mobile and TV to even the automobile. MHL Consortium secured automobile manufacturers including Jaguar and Delphi, and the aftermarket as their partner companies last year, which are to be applied to vehicle mass production. Since display devices with which one can watch movies or play games were installed in the front and back within the vehicle, it has risen in the high-definition demand market.